Buying a minivan is like buying an appliance: you don’t care how it looks or if it can do a certain task insanely fast. You buy it based its ability to handle any situation thrown its way. This might explain why minivans have fallen out of favor for many folks, as the vehicles aren’t seen as cool or desirable. Instead, many are turning toward crossovers and SUVs for family-hauling duties. But minivans still hold a clear advantage over crossovers and SUVs when it comes to practicality. Crossovers and SUVs can carry either a large amount of cargo or passengers, but not both--at least not without making a comprise. A minivan can fit both without any issue. One of the strongest contenders in the minivan class is the Toyota Sienna. First introduced back in 1998 as a replacement for the egg-shaped Previa, the Sienna has become a strong seller thanks to a spacious interior and relaxing ride. Two years ago, Toyota gave the model a refresh, with major changes for the interior and revisions to the suspension. For 2017, Toyota is addressing the Sienna’s powertrain. The 3.5-liter V6 that has powered for the Sienna for a number of years now features direct injection. This change boosts power figures to 296 hp and 263 lb-ft of torque, making the Sienna the most powerful minivan in its class. Along with the updated engine is a new 8-speed automatic that Toyota claims improves fuel economy. Compared to the 2016 Sienna, the 2017 model sees an average increase of 1 to 2 mpg, and EPA fuel-economy figures for the 2017 Sienna stand at 19 mpg city/27 highway/22 combined with front-whee drive and 18/24/20 with all-wheel drive. Toyota hasn’t made any big changes to the Sienna’s overall design since the last redesign back in 2011. The minivan's shape can be best described as a rounded rectangle with a large area of glass. A couple of years ago, Toyota updated the Sienna’s exterior with a new grille and taillights. Depending on the trim you choose, wheels will range from 17 to 19 inches. Those who want to stand out with a minivan should take a look at the Sienna SE. This trim features a mesh insert for the grille, projector-beam headlights, front and rear underbody spoilers, and a set of 19-inch alloy wheels with a gray finish. Step inside the Sienna’s cabin and you’ll find seating for either 7 or 8 passengers. Cloth upholstery comes standard on the base L and LE trims, while leather is standard on the SE and above. All three rows offer plenty of head and legroom for a passengers of any size. If you have a large amount of stuff to move around, such as luggage or bags of groceries, the Sienna can handle that too. Cargo space is toward the top of the class, with 39.1 cubic feet behind the third row and 87.1 cubic feet when the third row is folded down. Maximum cargo space measures out to 150 cubic feet. To achieve this, you’ll need to take out the second-row seats, which are very heavy and awkward to remove. In terms of technology features, all Sienna trims come with a touchscreen radio with Toyota’s Entune infotainment system. The Sienna L comes with a 6.1-inch screen and higher trims feature a larger 7-inch screen. Entune might look somewhat dated, but its easy-to-understand interface and blazing performance more than make up for that. If you need to keep kids occupied for a long trip, there is a rear-seat Blu-Ray entertainment system with a 16.4-inch screen that can display either one image or two smaller images from separate sources. Finally, trims starting with the SE Premium get the Driver Easy Speak system, which uses a microphone and the vehicle’s audio system to help get your messages across to kids sitting in the back row, like quit fighting or we’re not getting any ice cream. For safety, all Siennas come with a full complement of airbags, traction control, stability control, active head restraints for the front seats, and a backup camera. Blind-spot monitoring and rear cross-traffic alert are standard on the SE Premium, XLE, and Limited trims. Those who live in the snow belt will be happy to know that certain trims of the Sienna can be equipped with all-wheel drive (as mentioned above). The National Highway Traffic Safety Administration awarded the Sienna a 5-star overall rating, and in Insurance Institute for Highway Safety tests, the Sienna earned the highest rating of Good in most categories. The only place where the Sienna fell short was in the recently introduced small-overlap frontal crash test, where it earned the second-highest rating of Acceptable. Pricing for the 2017 Sienna starts at $29,750 for the base L and climbs to $47,310 for the Limited Premium AWD. The 2017 Toyota Sienna will likely be passed over by many folks who see it as something undesirable. 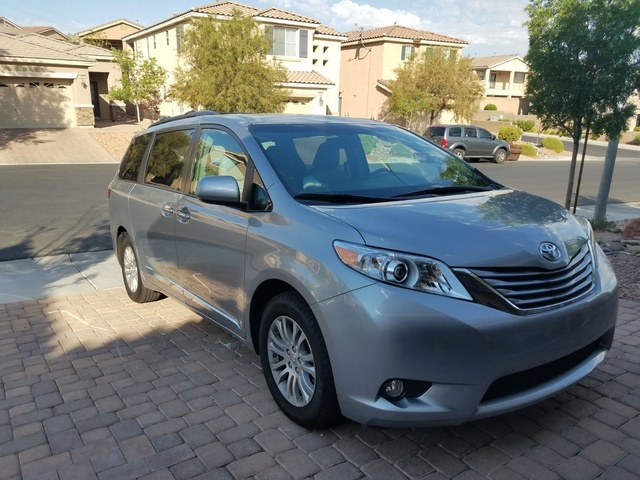 But those who are in the market for a minivan or are willing to take a chance will find the Sienna offers a tremendous amount of space and features for the money. The updates to the powertrain only help make it a more attractive option. What's your take on the 2017 Toyota Sienna? GuruBXKWP I need the mobility model where I can wheel into the van and drive. Do you have those? Users ranked 2017 Toyota Sienna against other cars which they drove/owned. Each ranking was based on 9 categories. Here is the summary of top rankings. Have you driven a 2017 Toyota Sienna? I just replaced my RFT with regular tires, they were garbage. Can I use a donut spare tire or should I invest in a full size spare? Also, any recommendations on where to get a spare/donut? 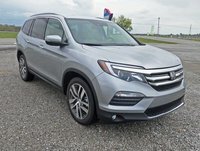 Do You Have Any Listings For Wheelchair Accessible Vehicles?